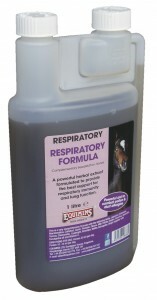 Equimins’ new Respiratory Formula is available now and is ideal for those who suffer with dust and pollen allergies. This powerful herbal extract helps to support the respiratory system and lung function, and has been formulated particularly for those with dust or pollen allergies. It contains liquorice, echinacea, marshmallow, coltsfoot, garlic, plantain, clivers, milk thistle, gingko, feverfew, quercetin, yarrow, chamomile, eyebright, rosehips, nettle, astragalus and ginger, in addition to eucalyptus oil and vitamin C.
Respiratory Formula is available in 1L bottles. 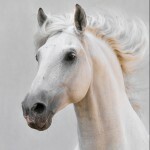 Ponies receive between 10-15ml per day, and horses receive 20ml per day. A 1L bottle has a RRP of £22.45. Price correct as of 20th November 2013.